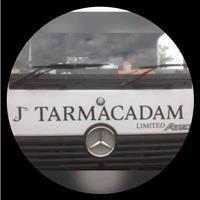 AJ's Tarmacadam Ltd - Driveways/Patios/Paths based in Nelson, Lancashire. I am a sole trader with over 20 years experience. For 15 years I have worked for a small local company where I learnt my trade, and in the last 5 years I have started my own business. This is due to the company I had previously worked for closing because of retirement, most of the contacts I made through the company, I still do work for today. I have an NVQ level 2 in Road and Pathway construction. I will guarantee any work I do and only use the best materials available. I welcome any input you have on your job and you are welcome to watch if you like. I pride myself in doing work the same as I would on my own property. All the North West, All North Yorkshire, North Wales and others please enquire.